Steve Gladis, PhD, former Professor and Associate Dean/Director at the University of Virginia, Author of 11 books including Survival Writing for Business and The Manager’s Pocket Guide to Public Presentations. Empower your next conference audience with an entertaining, informative, interactive and engaging workshop or seminar from Seal the Deal author Suzi Pomerantz. Our seminars can be tailored to a full-day, half-day or keynote format. Click here to read about some of our most popular speaking topics. A frequent speaker on various coaching and leadership topics, author Suzi Pomerantz has presented at the International Coach Federation Conference; the International Executive Coaching Summit, an invitation-only annual gathering of senior executive coaching experts; and taught executive coaches at the Executive Coach Academy. She has also delivered guest lectures to undergraduate and master level classes at George Washington University, Loyola University, and the University of Virginia. 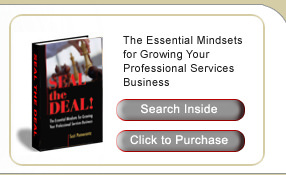 Contact us at myevent@sealthedealbook.com to find out more about what Suzi’s Seal the Deal formula can bring to you next conference or meeting, or click here to book Suzi Pomerantz.